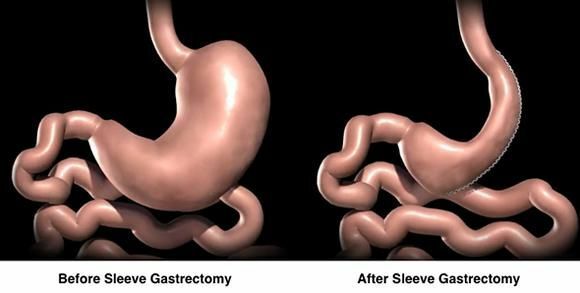 Sleeve gastrectomy is a stomach reduction surgery used for the treatment of obesity. The operative process is comfortable and the rate of complication is relatively low. It achieves a truly satisfying weight loss. It is currently the most commonly performed bariatric procedure world-wide. ♣The original name in the medical literature is "Laparoscopic Sleeve Gastrectomy". This surgery removes the large portion of the stomach, which is in the form of a balloon under normal circumstances. The operation is performed while the patient is under general anesthesia with closed (laparoscopic) surgical technique. Abdominal wall is not opened. The operation is carried out with a telescopic camera and rod-shaped tools that are inserted into the abdomen through the small holes. Automatic stapling and cutter devices are used. The curved part of the stomach (approximately 70-80%) is released and removed. As a result, stomach capacity is reduced to hold only a small glassful of food at each mealtime. ♣The stomach is transformed into a long, vertical narrow tube. Structural and functional changes created by the surgery decrease the appetite and limits eating and drinking. The ghrelin hormone is among the major factors that regulate the feeling of hunger in the stomach. Most of this hormone is secreted by the curved, main portion of the stomach. This portion of the stomach is removed. After the procedure, blood ghrelin hormone levels are reduced significantly. Feeling of hunger is diminished and appetite decreases. Since the digestive tract, where the foods flow, is relatively narrow in the postoperative course, the pace of eating slows down and the feeling of satiety is facilitated. After the surgery, there will be an eating adaptation period for one month under the guidance of a dietitian. In the first two weeks only fluids are allowed, followed by soft foods in the next two weeks. Solid food intake can be initiated at the end of one month. The appetite will be diminished drastically. It will be possible to feel satiety with much smaller servings than usual. Healthy nutrition habit will be rapidly adopted spontaneously. 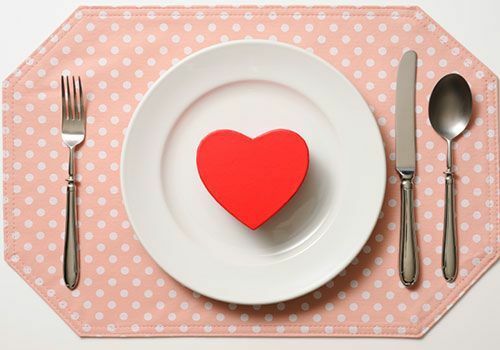 ♣Patients feel less hungry, eat less food slowly and feels full rapidly. The surgery does not cause significant impairment of the functioning of the digestive system. In the first few months, there will be a relatively limited food intake and rapid weight loss. Thus, patients are advised to have protein supplements in powder form, and multivitamin support for the first 3 months. Also, drugs are prescribed in order to help reduce gastric acid release. ♣Over the long-term, no problems should occur in the absorption of foods essential for the body. Among all types of surgery, the sleeve gastrectomy is generally considered to carry a mild risk. The majority of patients do not experience any additional problems The rate of severe complications is about 1%. The patient can be mobilized in the same day, as laparoscopic technique is used for the operation. Hospitalization for 3-4 days will be sufficient and patients will be able to resume their usual daily activities within a few weeks. Follow-up results are almost excellent. Patients start losing weight within the days following the surgery. The weight loss becomes remarkable within several months. The long-term medical follow-up results of thousands of patients show that the sleeve gastrectomy patients lose 70-80% of their excess weight. ♣Most of the excess weight is lost within one year after surgery. Physical and psychological relief associated with weight loss improves daily quality of life perceivably. 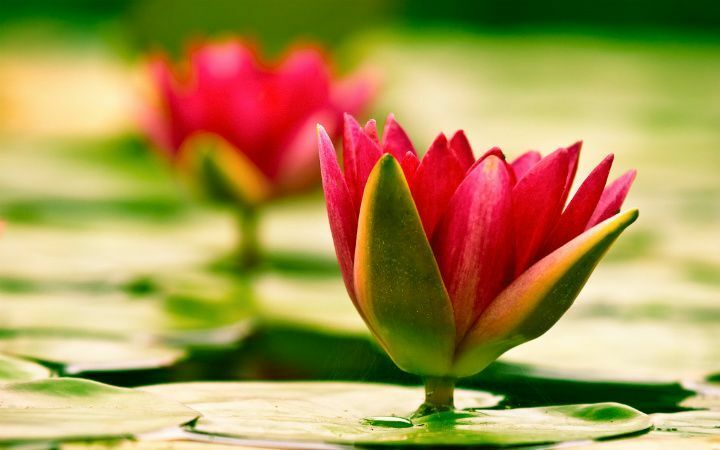 It offers a chance to make a fresh start to life. In the months following the surgery, most of the obesity-related diseases such as sleep apnea, type2 diabetes, hypertension, hyperlipidemia, leg varices, knee pain are greatly healed. These improvements occur spontaneously after the start of weight loss without requiring any additional therapies. The sleeve gastrectomy is increasingly become a preferred option by patients and surgeons since the course of the change created by the surgery is almost natural (physiological), the weight loss effect is satisfactory, and the rate of the side effects is low.